Junior Blast is designed for 5 - 7 year old girls and boys and is a skills and drills based program. Children enjoy a series of fun drills to learn the basics of cricket, batting, bowling, throwing and catching. Sessions finish with a short game of pairs cricket. 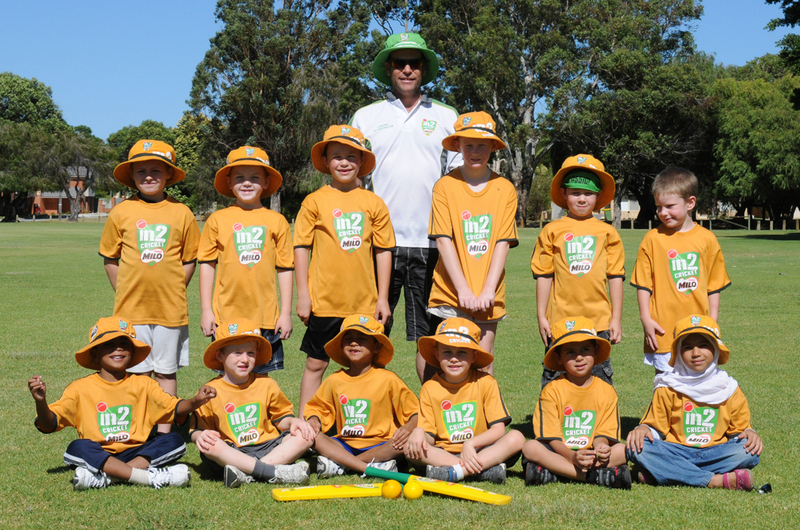 This program is the earliest introduction to the great game of cricket and parent involvement is strongly encouraged. As your child grows older you will look back and treasure the brief time you spent with them learning these fundamental skills, even if you don't rate your own skills particularly highly! At this young age parent involvement is also essential from the point of view of child protection. If you'd like access to some training on how to participate please contact the club at president@ascoteaglesjcc.com.au. Cost - $100 including Junior Blast pack - delivered to you from September.